The little details on your wedding day are sometimes the things guests remember the most but these are easily forgotten when the focus is on your venue, dress, invitations and everything else necessary for a wedding to run smoothly. We are here to talk you through any little extras which may have slipped your mind or even offer you a bit of inspiration to help you plan your big day. 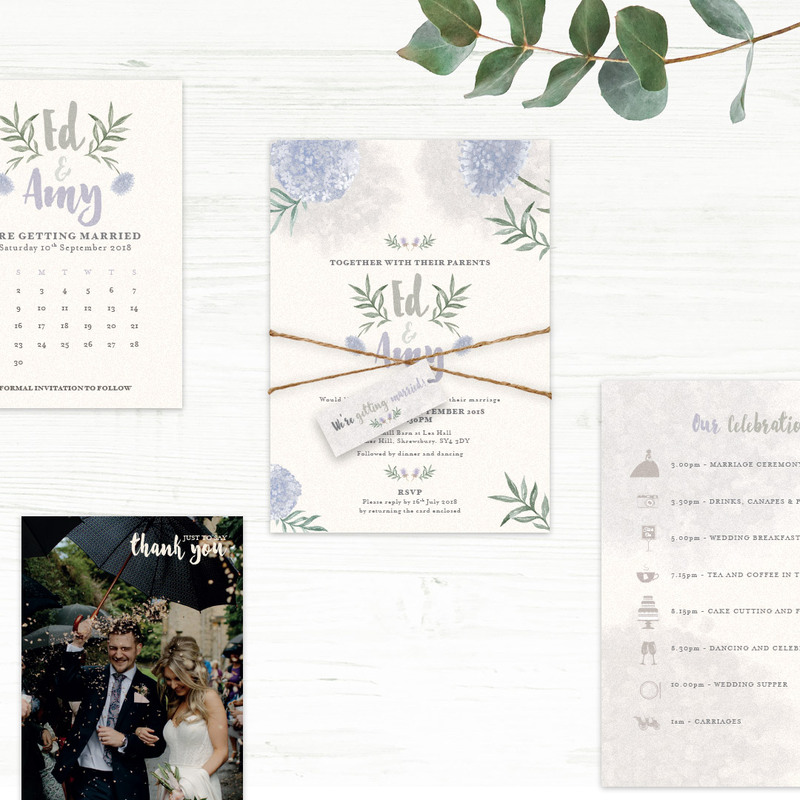 Many people start with the wedding invitation, but if you’re wedding is a little while away, why not send out a save the date to your guests? These are a great idea if you have a date in mind but nothing else set in stone. 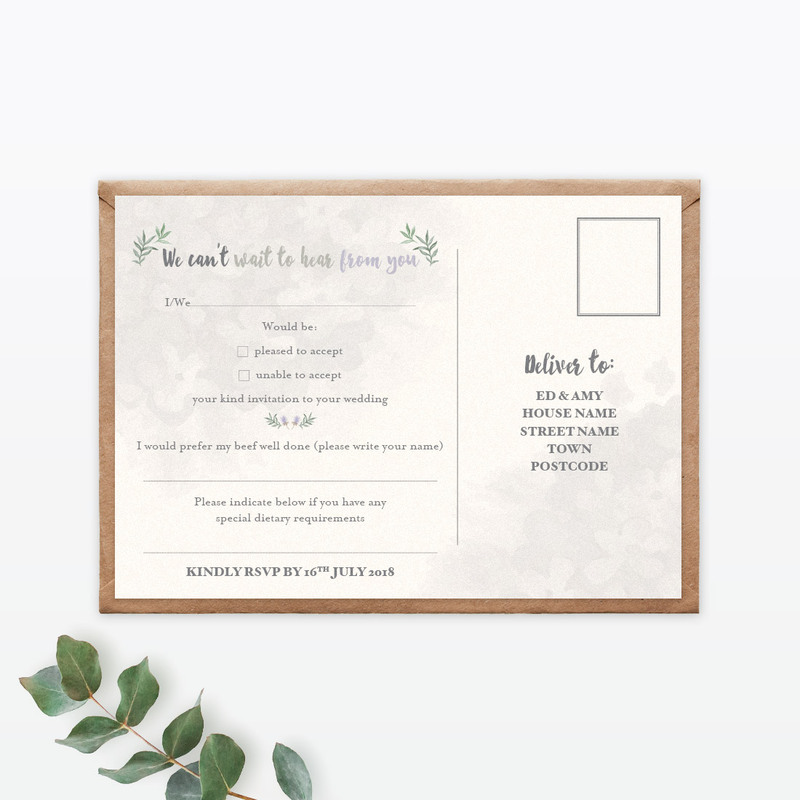 Your invitation can be sent out at a later date with all the necessary information, so this is a great way to let people know when you’re getting married! 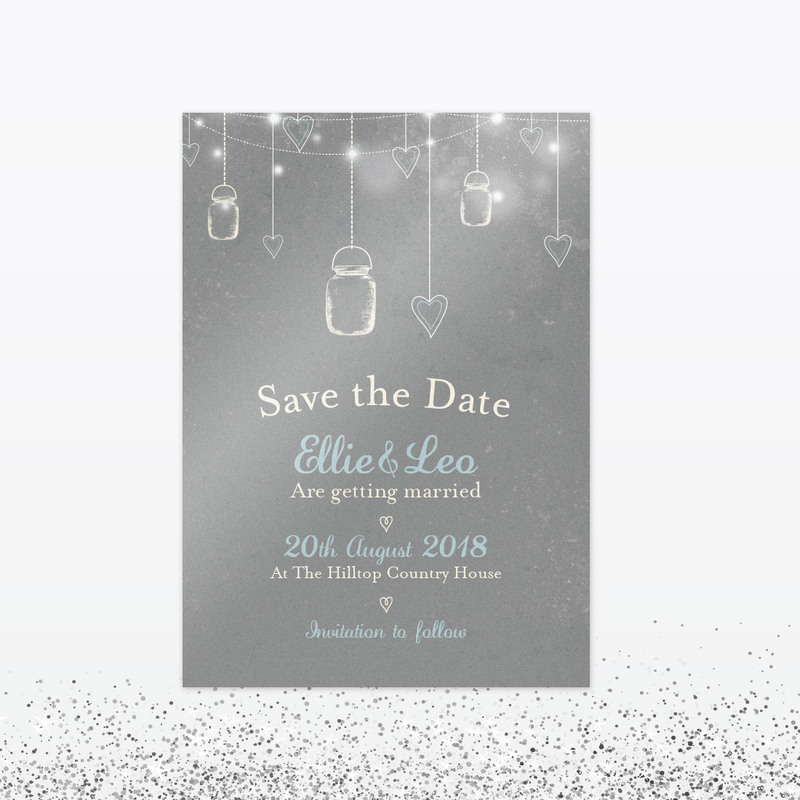 An important part of your wedding invitation is an RSVP– it is crucial you know how many guests will be joining you on your big day and a nice way of making sure of this is including a separate RSVP when sending out your invitations. If you are offering menu choices your RSVP can also include a section where your guest can select their food choice for the wedding breakfast too. The best way to let your guests know where they will be sitting (without the awkward walking around the tables looking for your name), is a table plan. 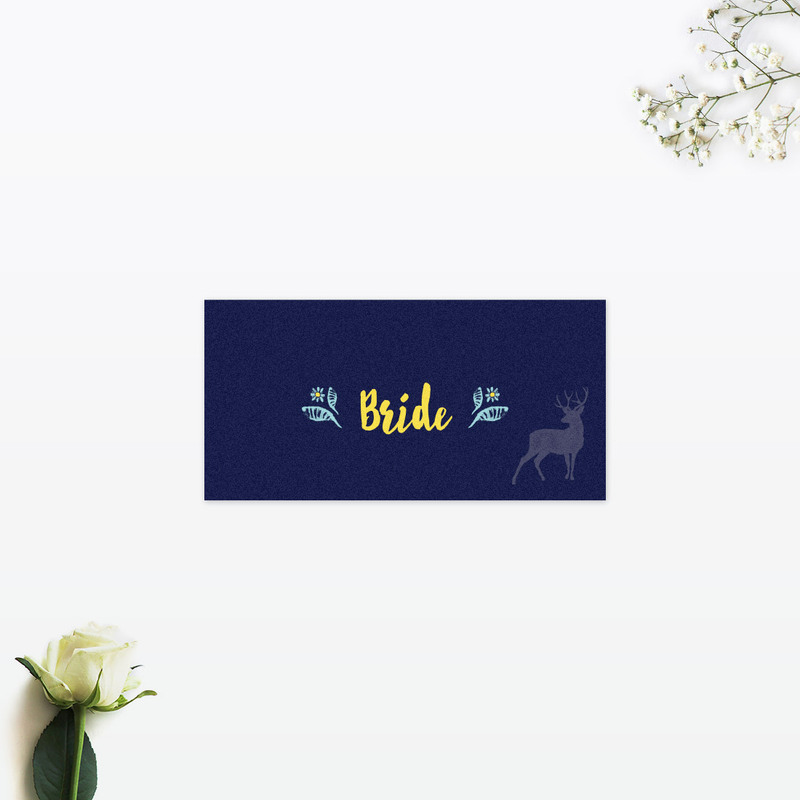 Whether you want small individual cards for each table or one large framed table plan positioned at the entrance of the room – this will be seen as a great addition for your guests. 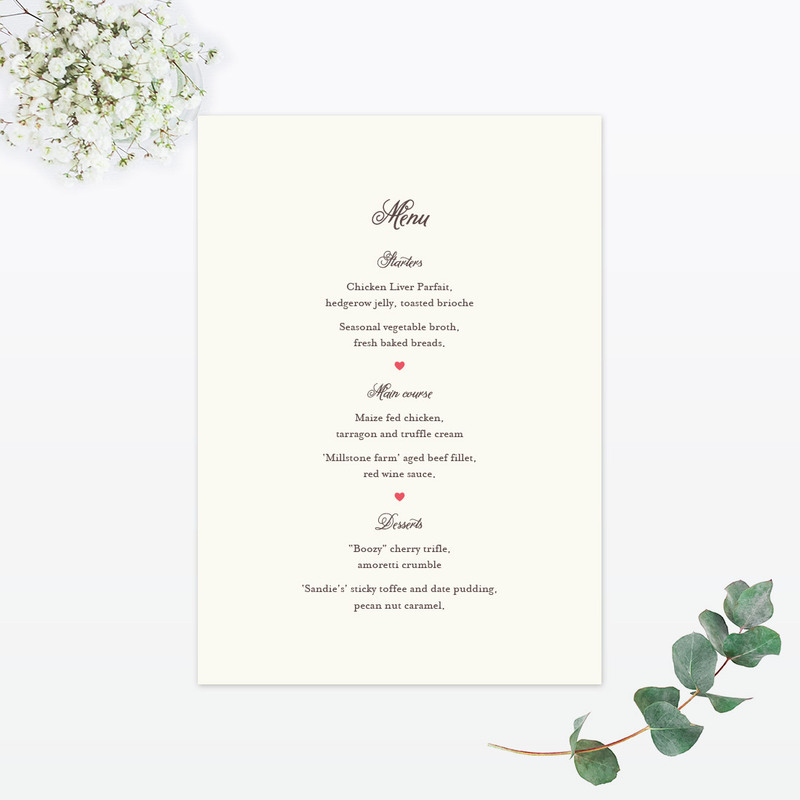 Name cards on your tables may seem an obvious choice for on the day stationery, but did you know we can also print your guests menu choices or personal message on the back too? As a guest at a wedding you want to know what’s happening on the day. 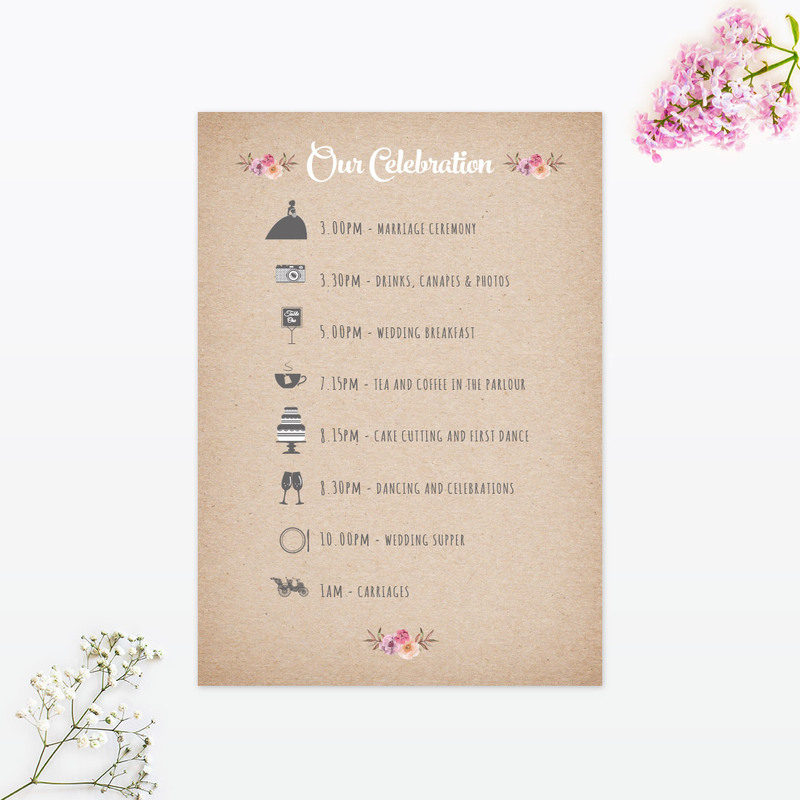 A great, creative way of doing this could be by creating a wedding timeline which shows guests the different activities which will take part throughout the day. Again, similar to the table plan this could be individual to each guest or displayed as a large timeline for everyone to see. 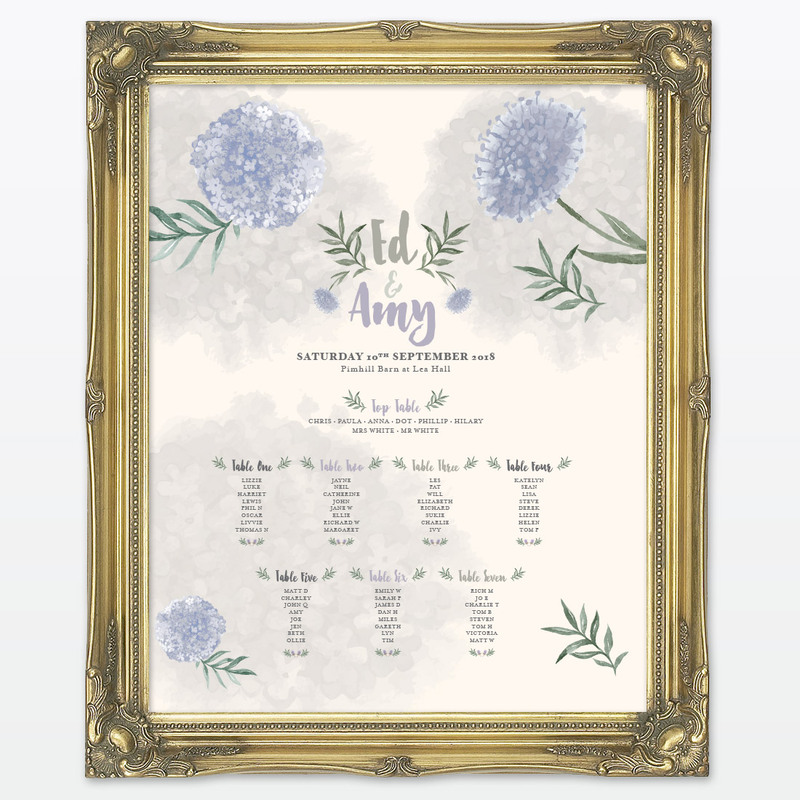 As well as a wedding timeline, many people opt for an order of the day or order of service which again can be personalised to you and your day. You may have decided to have little extras at your reception such as a sweet cart or maybe a prosecco bar (which every guests loves!). A way to show off your extras could be signage to let guests know what you have on offer. So why not invite your guests to ‘Pimp up their Prosecco’ or ‘Take a sweet treat’. 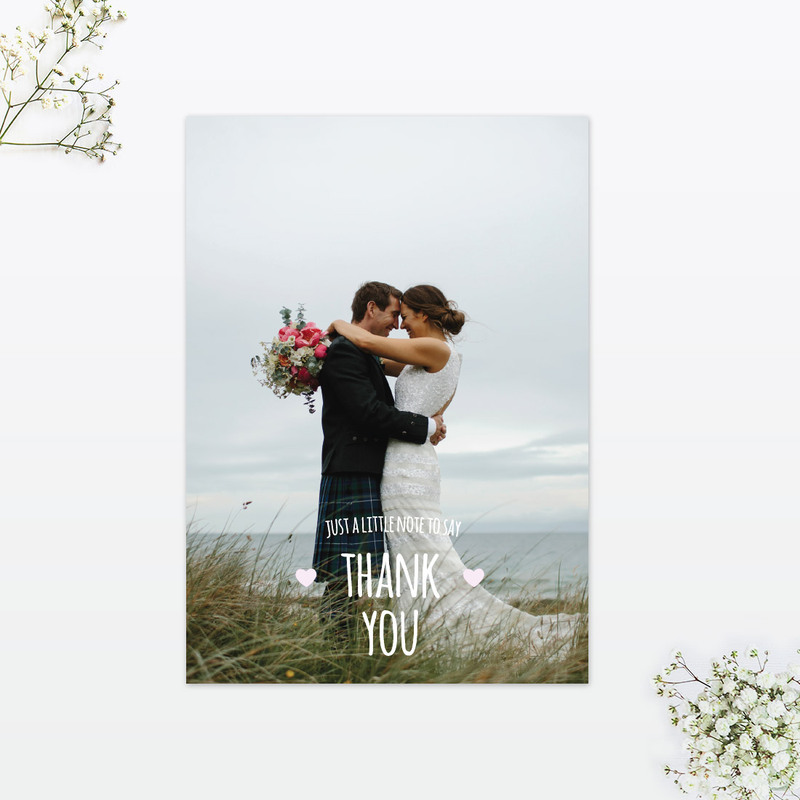 Thank you cards are a lovely and personal way to thank your guests for coming to celebrate your wedding day with you. These can be personalised with a photo from your day and lets your friends and family know it wouldn’t have been the same without them. There are endless options of little details you can consider for your big day, we’re not here to say you need them all but to give you an idea of what we can do to help make your wedding special. Why not get in touch with us and discuss any ideas you have? We would love to hear them. Previous post: It’s our anniversary!